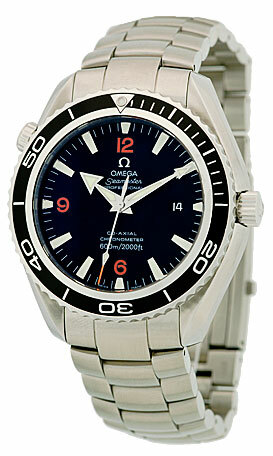 Gent's Large Stainless Steel Omega "Seamaster Planet Ocean". 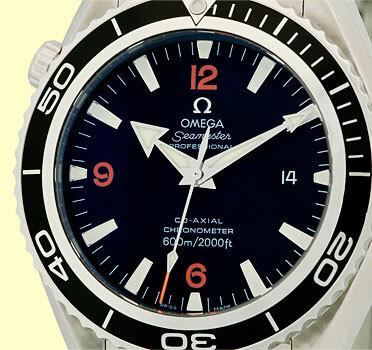 Black Dial with Orange Arabic Numerals and Raised Luminescent Hour Markers , Sweep Second Hand, Date Indicator, Stainless Steel Rotating Diver's Bezel with Black Insert and Sapphire Crystal. 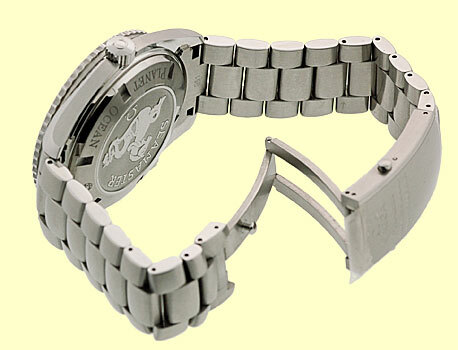 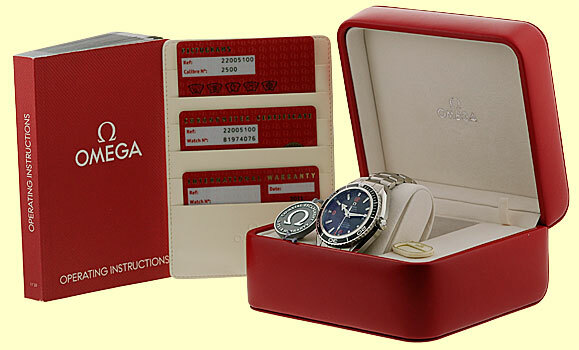 Matching Omega Stainless Steel Bracelet with Deployant Clasp.